Very good hotel.Very good hotel.Very good hotel.Very good hotel.Very good hotel.Very good hotel.Very good hotel. Very good hotel.Very good hotel.Very good hotel.Very good hotel.Very good hotel.Very good hotel.Very good hotel.Very good hotel.Very good hotel.Very good hotel.Very good hotel.Very good hotel.Very good hotel.Very good hotel.Very good hotel.Very good hotel.Very good hotel.Very good hotel.Very good hotel.Very good hotel.Very good hotel.Very good hotel.Very good hotel.Very good hotel.Very good hotel.Very good hotel.Very good hotel.Very good hotel.Very good hotel.Very good hotel.Very good hotel. The location was good. right in the central market of the city. Room is clean. But the towels are so old and need to get a new one. Staffs are friendly. I am kind of disappointed for not able to get a parking space even I had made a special requested at the time I am booking. Happy, contended and up to all expectations. Very clean and friendly staff serving with a smile and very helpful. Rooms and toilets in very good condition. Rooms have been arranged in a very nice manner. Internal deco was very good. Overall very happy stay at the hotel . Look forward to recommend to travelers who search for a good hotel. When we arrived, we were not expecting much since the hotel was small ( taller than it was wide) and has a little and simple lobby. But when we got to our rooms, we were surprised at quality of the beds and shower room. We had a triple sharing room that had 2 large queen beds with a single bed! The room also had a small bathtub shaped like a Jacuzzi. The hotel concierge, gave us complimentary welcome drinks which was also a plus. Two things I would like to take note of, the hotel has a very great location.Taxis crowd the place and it is near the city sites, that you could walk to all of them. But beware, the hotel is not near to any westernized restaurants so you really will taste Vietnamese Cuisine when you get there. The next thing was the breakfast buffet was small but had a little bit of everything. So thumbs up! 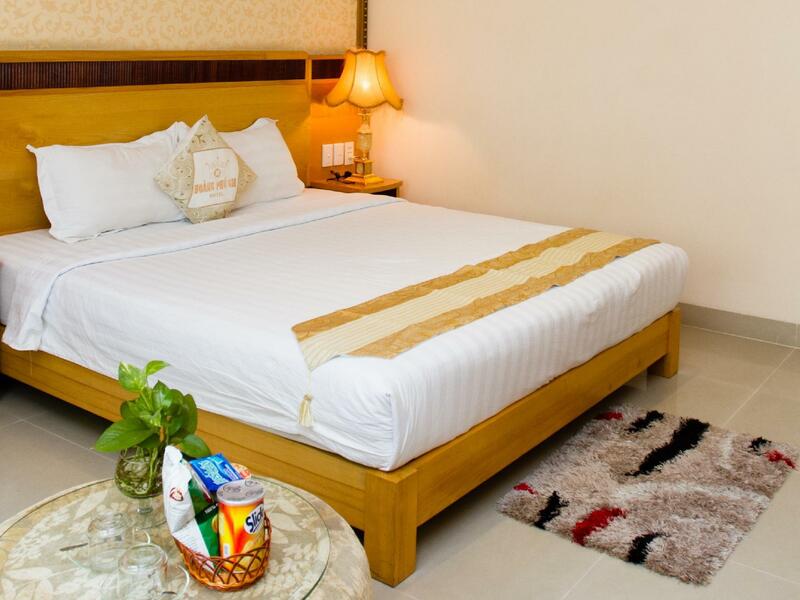 In all, this hotel is recommended and is a great value for your hard-earned money. about 20 minutes walking to the Banh Tinh Market. It has got a nice lobby and cafe for having buffet breakfast. Wifi is provided but the wifi on the 3rd floor didn't work well. Need to go to the lobby to get internet service. the hotel seems quite new and the staff were very helpfull and very nice, though not every one understood the english language, morning breakfast was good as well and ordered tour was good as well. our room did not have any view but fine for us, as there is so much noise from the street, soo very god value for the money. Nice Friendly staff and about 15 mins walk to Ben Thanh Market. Very clean rooms and the breakfast was really good selection of foods to choose from. Bit noisy at night with the traffic and also some building construction going on most of the time. The staff were wonderful especially travelling with a family. The location is excellent with a 15 min walk to Ben than market,the hotel looks grand from the outside it is very clean and if it is just for the delicious breakfast with a large spreadI would stay in this hotel. It has a gym but we didnt have time to check it out. Its truly a 4 star facility for a 3 star. 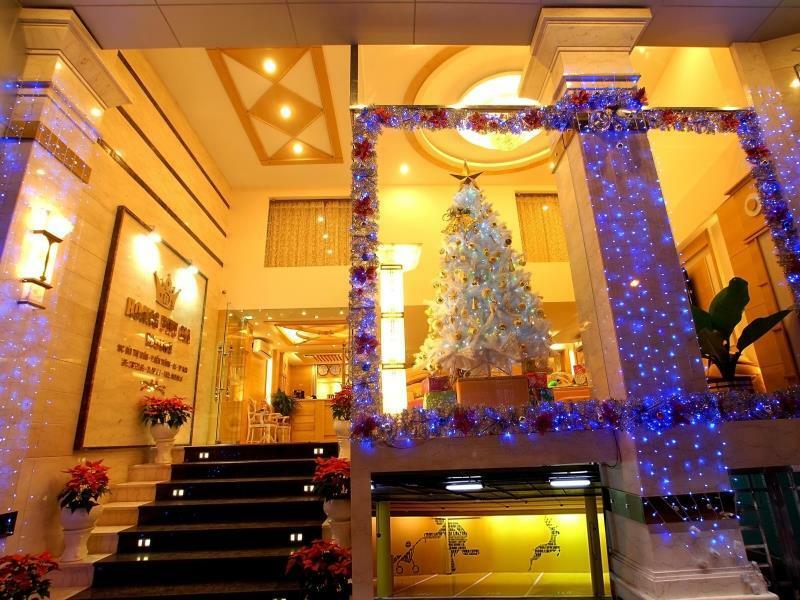 it was a good stay at this hotel in ho chi minh, vietnam. the room is really nice, and so does the bathroom. it is really worth for money. 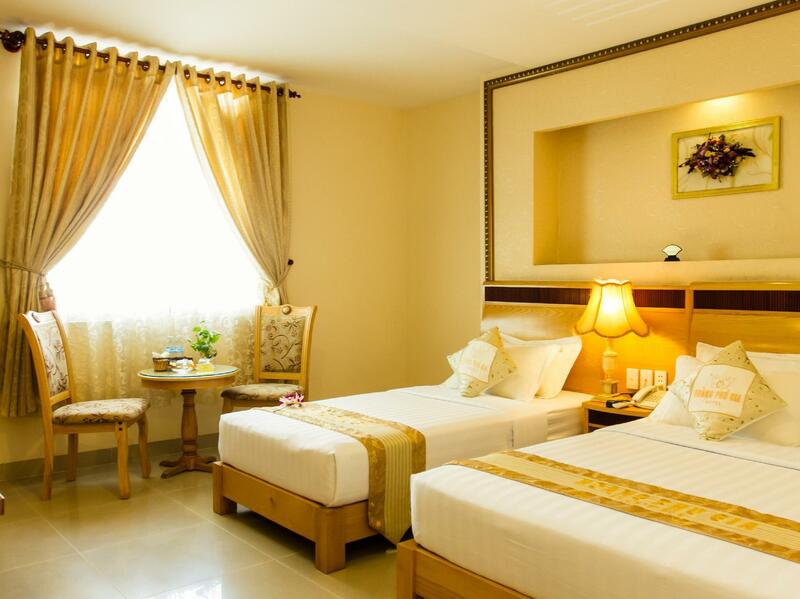 the hotel located in not too busy and noisy area, so it will good for you who want to do sightseeing while relaxing as well, and recommended either for solo or family traveler. will stay at this hotel again if i go to ho chi minh next time. 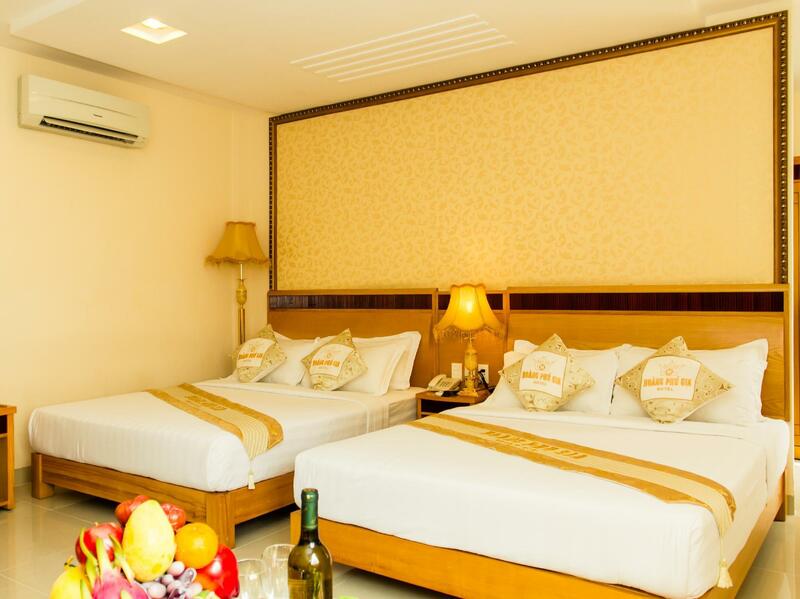 The market price to book directly from hotel is just $45/fay, but agoda price is $90/day. Very much noise. Dirty. Narrow corridor. Simple facilities. And every time you should be ready to wait for their only lift for 5 min at least. The conference organizer book a room for me and another participant (the speaker), I am OK because it is the common practice. However, they say the hotel is completely out of room and the room only has one bed. I decided to book another hotel so I went on Agoda and found that there are still many rooms. I book a deluxe room with one bed, and when checkin in they say there are... two beds. The room is small with one big pillar in the room.